13 Above: NASA To Bomb The Moon !! Scientists expect the impact to blast out a huge cloud of dust, gas and vaporized water ice at least 6 miles high. The aim is to see whether any traces of water will be revealed by the disruption caused to the planet's surface. Nasa will analyse the space cloud caused by the explosion for any sign of water or vapour. Scientists expect the impact to blast out a huge cloud of dust, gas and vaporized water ice at least 6 miles high - making it visible from Earth. If the search is successful it could provide vital supplies for a moonbase. 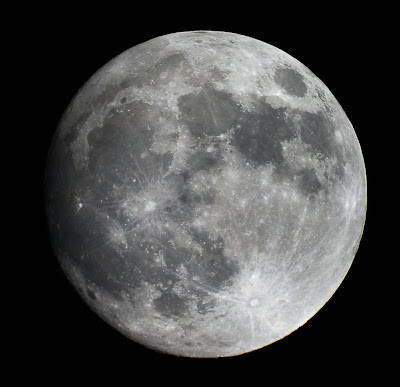 The moon is mostly dry desert but ice may be trapped in craters which never see sunlight. The unmanned Lunar Crater Observation and Sensing Satellite mission (LCROSS) will fire a Centaur rocket into the surface at twice the speed of a bullet. An accompanying spacecraft will orbit the moon for a year looking for possible landing sites for astronauts. The Lunar Reconnaissance Orbiter will spend at least a year creating the most minutely detailed map of the moon's surface ever seen. The vessel swill be the first American spacecrafts to make a lunar trip since 1999. Astronomers have long thought that a rain of comets brought water to the arid, lifeless moon over billions of years. In the past few years, at least two American spacecraft reported the presence of water by detecting hints of hydrogen and oxygen - the constituents of water - frozen deep in the darkest recesses of craters around both the north and south lunar poles. NASA IS GOING TO PLANT EVIDENCE TO COVER THEIR TRACKS FROM THE '60S. the bomb is a diverssion. these clowns were caught by the japanese mapping satellite that found no trace of american landings on the moon. now, they are going to plant evidence and then take pictures of it! how sad, no one sees through this $500 billion scam. DID YOU GET THAT? $500 BILLION! in a time of unprecedented recession NASA is wasting $500 billion to bomb the moon!